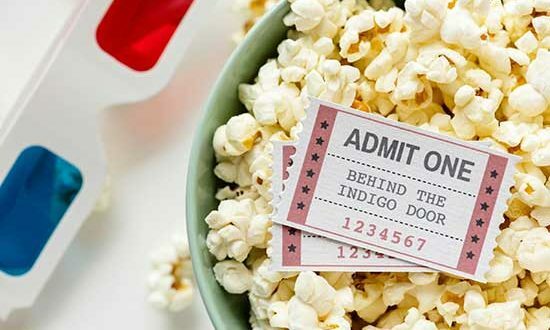 Film makers have always used stand-ins for locations and props to save money, time. and labor. Some film makers, though, like to aim for authenticity above all, and this was especially true in the days before CGI, and also before cheaper, non-union states started to become the preferred choice for shoots. Of all the anecdotes I researched for this article, I think the absolute creepiest fact I encountered was that the acclaimed 1976 miniseries about the Manson Family murders, Helter Skelter, features scenes that were actually filmed at one of the real-life murder houses. Carnival of Souls (1964), directed by Herk Harvey (a director of educational films), and starring Candice Hillegoss. 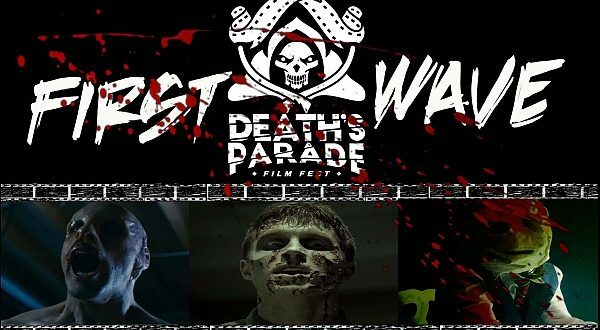 The script of this early 60s cult classic calls for the main character, played by Hillegoss, to drive through Utah and visit an abandoned amusement park/carnival that’s inhabited by ghoulish-looking ghosts. 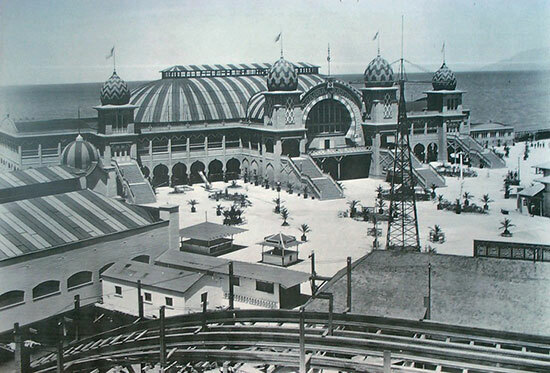 The eerie, surreal carnival scenes were indeed filmed at an abandoned Utah amusement park, known as Saltair, which dates to the 1890s. On disc and streaming. Carnival of Blood (1970), directed by Lawrence Kirtman, starring Earle Edgerton, Judith Resnick and Burt Young. (Not to be confused with the much-better-known Malatesta’s Carnival of Blood from 1973). This early 70s horror schlock-fest concerns a serial killer who is stalking carnival-goers at Coney Island, New York and yes, it was filmed at the famous amusement park. 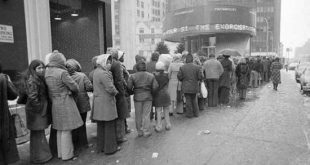 It probably is most notable for featuring the big screen debut of Burt Young, the long-time character actor who is best-known for playing Paulie in the Rocky films. It can be found on disc as a double feature with another low-budget 70s schlocker, The Curse of the Headless Horseman (1974). 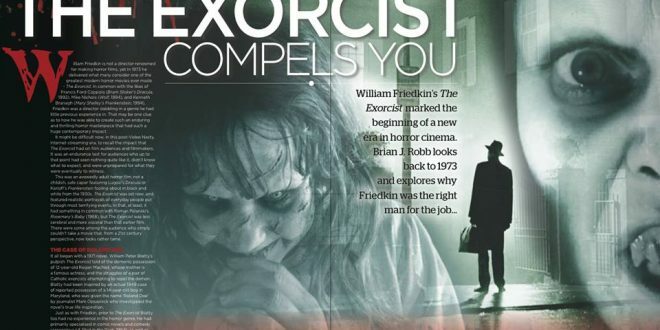 The Exorcist (1973), directed by William Friedkin, starring Ellen Burstyn, Linda Blair, Jason Miller and Max Von Sydow. William Peter Blatty’s monster 1971 bestseller about the demonic possession of a child od set in the Georgetown District of Washington, DC. 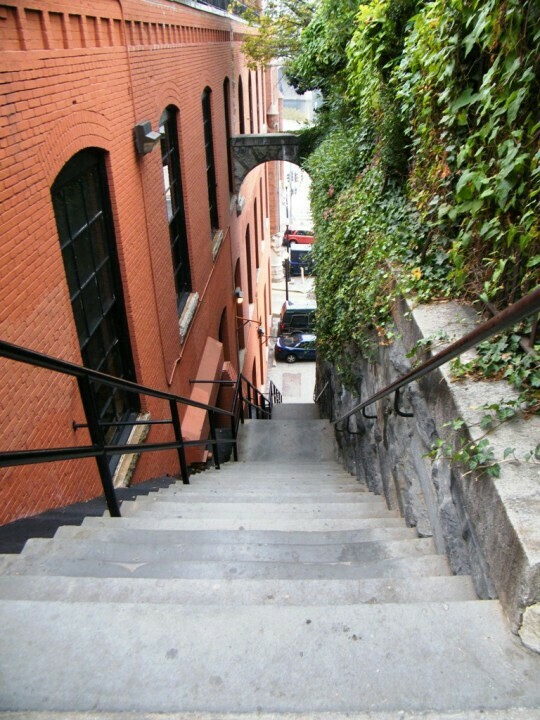 The ground-breaking film based on the novel was shot mostly at various locations in Georgetown, including the townhouse at 3600 Prospect Street, which serves as the exterior of the demon-infested residence of Ellen Burstyn (Chris) and Linda Blair (Regan), and “M” Street, the site where Jason Miller, as Father Karras, throws himself down steep stairs to vanquish the evil Captain Howdy. 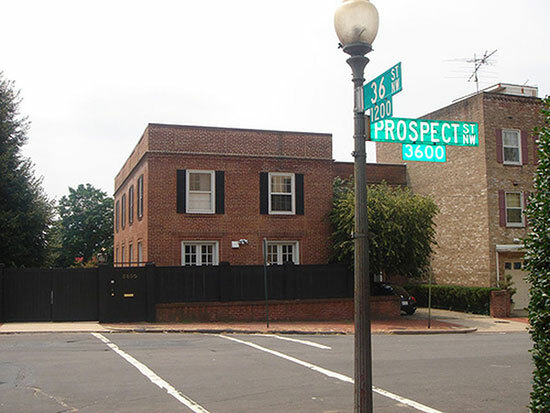 Other Georgetown/Washington locations used in the film are here. On disc and streaming, in several different cuts. 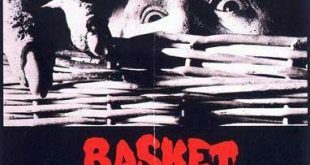 Helter Skelter (1976), directed by Tom Gries, starring Steve Railsback and George DiCenzo. This two-part television miniseries about the Charles Manson murders was based on the book of the same title by Manson prosecutor Vincent Bugliosi. 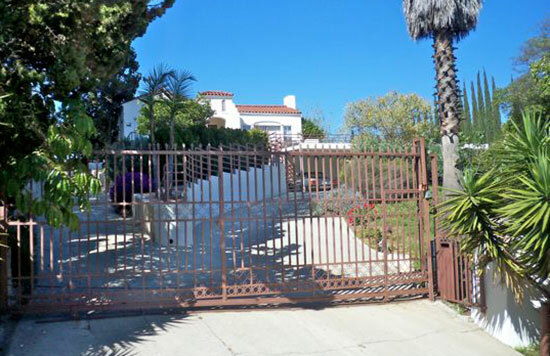 Gries shot scenes related to the murders of Manson victims Rosemary and Leno LaBianca at the actual murder house in the Los Feliz neighborhood of Los Angeles. 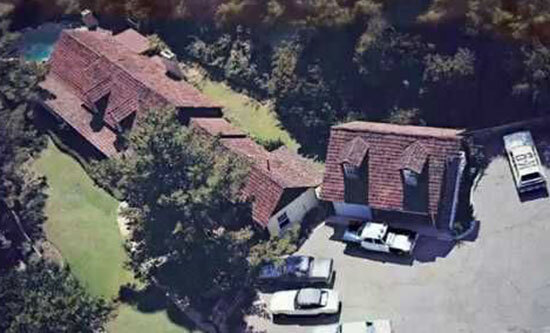 The LaBianca house still exists, although the other, more famous murder house, a rental in Benedict Canyon occupied by actress Sharon Tate and director Roman Polanski, has now been torn down and replaced with a new house, and the address has been changed to discourage gawkers. On disc and streaming. The Lost Boys (1987), directed by Joel Schumacher, starring Jason Patric, Kiefer Sutherland, Corey Haim, Corey Feldman, Edward Hermann, Barnard Hughes, and Dianne Wiest. 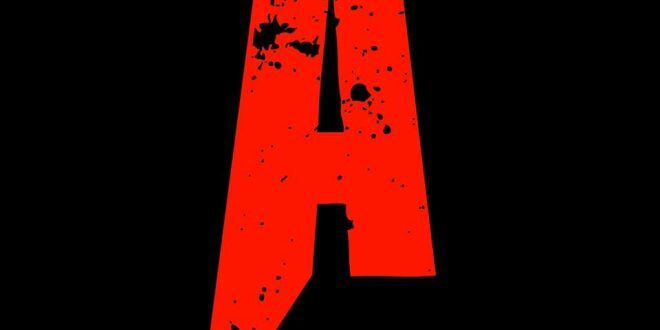 This legendary teenage vampire flick is set in a quaint, California beach town with a Spanish name. And most of it was filmed in a quaint, California beach town with a Spanish name, called Santa Cruz (although the name was changed to Santa Carla for the film). 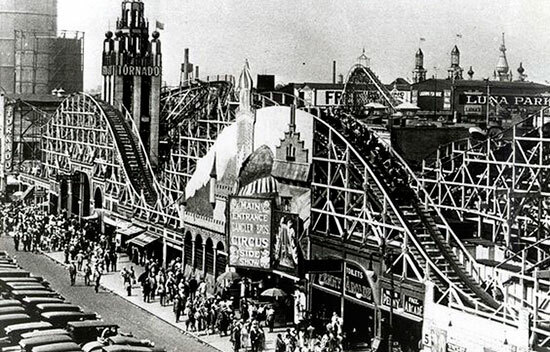 Notable locations in the film include the Santa Cruz Beach Boardwalk, a vintage amusement park that dates to 1907, which is still in operation. 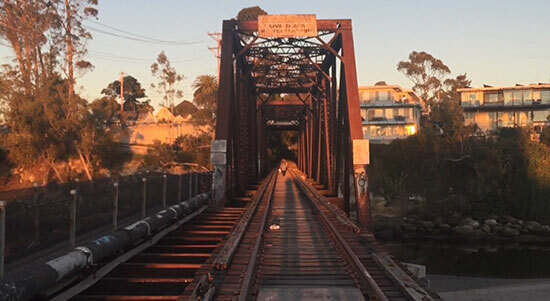 In 2017, the town of Santa Cruz celebrated the film’s 30th anniversary by issuing a free map of the locations used in the film. On disc and streaming. The Phantom of The Opera (1990), a two-part television miniseries directed by Tony Richardson of A Taste of Honey fame, starring Teri Polo, Charles Dance, Jean-Pierre Cassel, and Burt Lancaster. This lavish production of Gaston Leroux’s classic horror tale is, reportedly, the only version that was filmed at the historic Paris Opera House, where the original story was set. (Note: This production has nothing to do with the celebrated musical by Andrew Lloyd Webber.) It’s also notable for being one of the last roles undertaken by Burt Lancaster before he died in 1994. On disc; it can also be found on YouTube as of this writing. The Crucible (1996), directed by Nicholas Hytner (The History Boys, 2006), and starring Daniel-Day Lewis, Joan Allen, Paul Scofield, and Winona Ryder. Many scenes from this eerie, filmed dramatization of the 1692 Salem Witch Trials, based on the Arthur Miller play of the same title, were shot at authentic locations in Salem, Massachusetts. This includes scenes set at the residence of the famous witch hunt victim, Rebecca Nurse, which were shot at the house where she lived in real life, and still standing. On disc and streaming. Session 9 (2001), directed by Brad Anderson (who also directed Stonehearst Asylum – 2014), starring David Caruso, Stephen Gevedon, and Larry Fassenden. 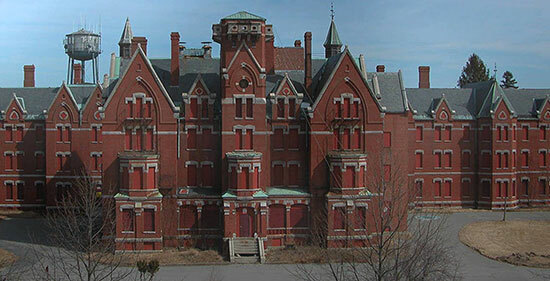 This dark slow-burner concerns asbestos removers working in the abandoned Danvers State Mental Institution in Danvers, Massachusetts—the same place where much of it was shot. 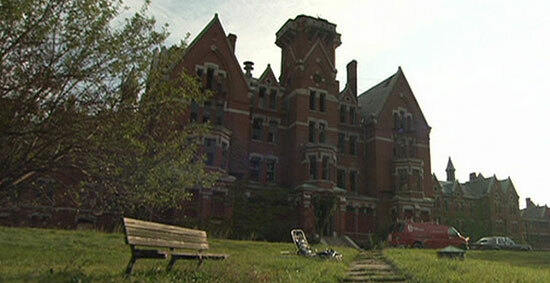 Hardly any of the exteriors and interiors were altered for the film, as the abandoned Victorian pile was already creepy and menacing in its natural state. In 2005, most of the buildings were removed to make way for an apartment complex. The town of Danvers was also once part of Salem Village, the setting of the notorious 1692 Salem Witch Trials. On disc. The Skeleton Key (2005), directed by Iain Softley of Inkheart fame, starring Kate Hudson, Gena Rowlands, John Hurt, and Peter Sarsgaard. This Southern Gothic tale of hoodoo and body-switching is mostly set at a crumbling Louisiana plantation house, owned by an elderly Southern couple with a dark secret. 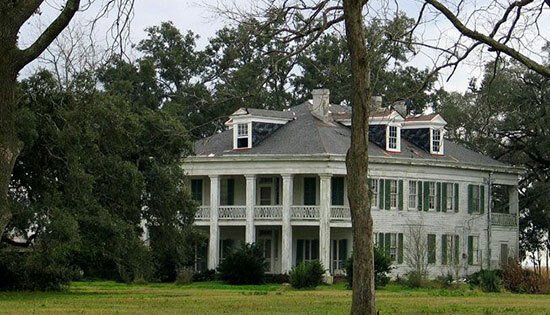 And it was filmed at an old Louisiana plantation house, known by the name of “Felicity”, which is located near Vacherie, Louisiana. 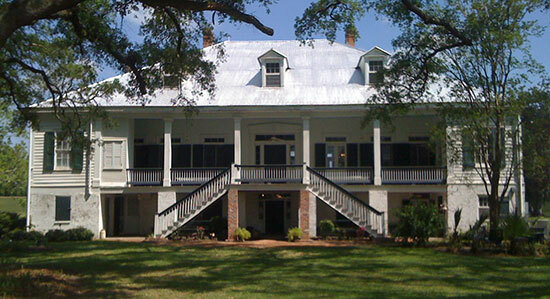 CGI was used to add a bayou in the backyard, which plays an important role in the film’s plot. On disc and streaming. 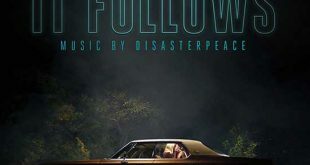 It Follows (2014), directed by David Robert Mitchell, starring Maika Monroe, Bailey Spry, and Keir Gilchrist. 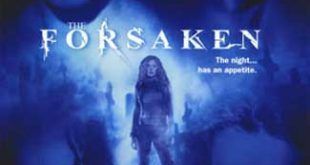 This sleeper hit about sexually transmitted hauntings is set in Detroit and its surrounding areas—which are the hometown environs of director Mitchell. 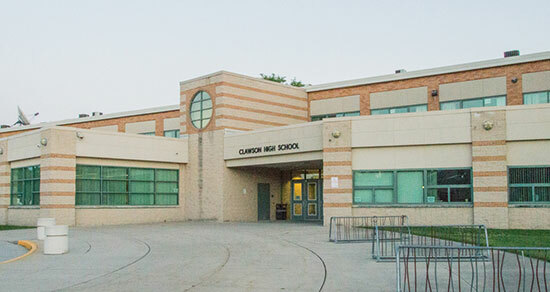 Locations used in the film include the Detroit Water Works building and Clawson High School, (the same high school that Mitchell attended), which was renamed Lawson High School for the film. 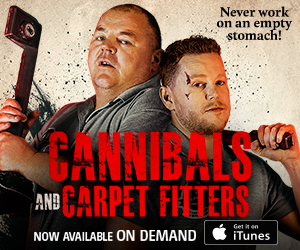 On disc and streaming.